President Muhammadu Buhari has disappointed Nigerians especially those who joined him in chanting the "APC CHANGE" mantra during his campaign. Buhari who hunger and thirst for power has now shown Nigerians his true colours and nature. He promised Nigerians heavens on earth but today, none of those promises has been fulfilled. Permit me to say, he did not come into power because he had Nigerians at heart, rather in order to deal with those he felt were his political enemies. I remember vividly when he was campaigning for presidency, he promised to run an inclusive government. Hence, the slogan "I belong to everybody and I belong to nobody" swept across the globe. People believed him because he was the "messiah" needed at that time to salvage Nigeria. People's expectations were so high, hopes were raised but today, the reverse is the case. Hardship and inflation are now the order of the day in Nigeria. Muhammadu Buhari remains whom he is from the time immemorial. During his regime as a military head of state in 1984-1985, people suffered so much yet those who knew him forgot easily and kept mute until he succeeded in becoming the president of the Federal Republic of Nigeria again. Now everybody is receiving the change in its grand style. Buhari is not boastful of his achievements, in interviews, he would often be heard praising the leaders of the first Republic. He even gave credit to Olusegun Obasanjo for building refineries during his regime as a military ruler; instead of himself who was the petroleum minister at that time who actually built them. He remains a dictator and nothing would make him change. 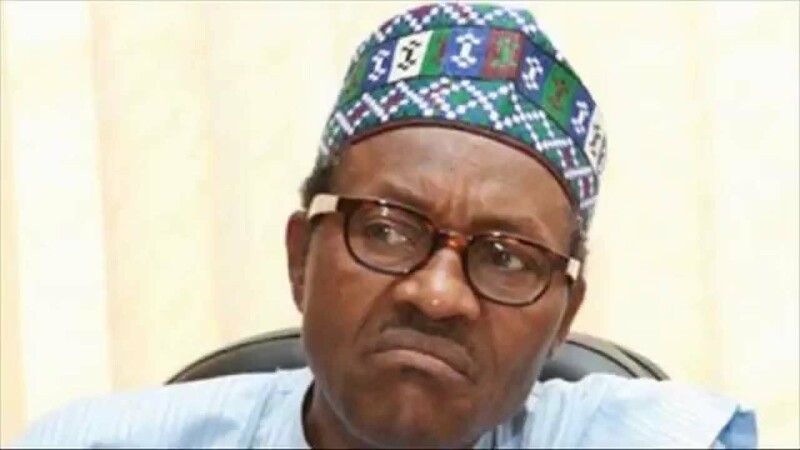 He has nothing to offer and as a failure, he keeps blaming Goodluck Jonathan in every failed attempt he made. All the key and major appointments he made so far were all northerners especially that of security. All the Security Agencies are headed by Muslims and it calls for a deep concern. All those who supported him feel Buhari's heat most; from those who financed his campaign to those who trekked for him after his victory. He doesn’t have the intellectual capability to do anything good for Nigerians. Therefore, he has "chained" the people rather than the change he promised and many people have lost confidence in him. The worst aspect of the whole scenario is that he doesn't listen to advice. He acts on his own and that is why he continues to fail. His inconsistency in his political adventure has also added to his failure. He boasted to make one dollar equal to one Naira but today, one dollar has climbed to #420.He has no leadership charisma so to say. He is still ruling with military might forgetting that Nigeria is now in a Democratic era. Buhari who should lead by example has in many occasions failed to obey court orders yet he expects justice from the judiciary. A true leader is always conscious not be a law to himself. A true leader submits to a group of tested, respected and credible people for advice, corrections, rebuke and instructions for the betterment of the people. It is quite disheartening that today some people are still waiting to see the change that Buhari has promised but they failed to understand that one can't give what he doesn't have. Those promises made were just fake, fallacies and nothing more than that. Whatever his plans are, be it the islamization of Nigeria, we wait to see him unveil them. To say the least, Nigeria is the only country in the world where the illiterates rule the literates and such is the case of Muhammadu Buhari and his change slogan. This animal is nothing to qualify than a pedophil and nothing good will come out of him coward.